This year begins our 14th year of travel. 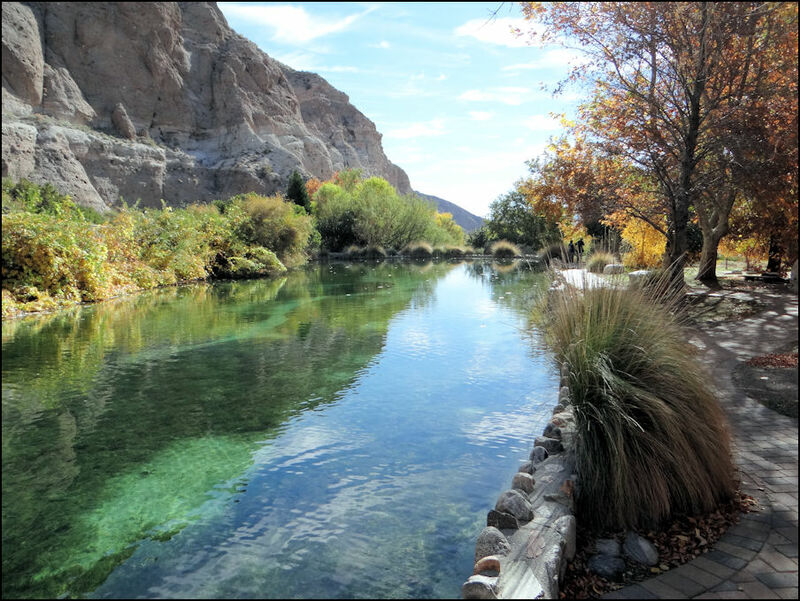 Our 2019 travel map starts in the Coachella Valley (think Palm Springs). With the Thanksgiving, Christmas and New Year's holidays, we haven't kept our map up to date. We actually left Atascadero in December 2018. 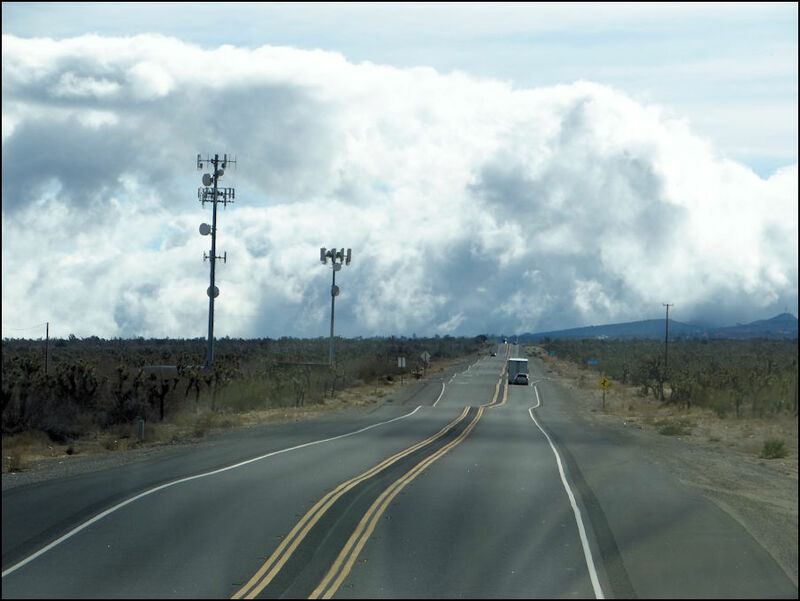 This picture from the desert south of Lancaster, California looks like the frost heaved roads of Alaska. 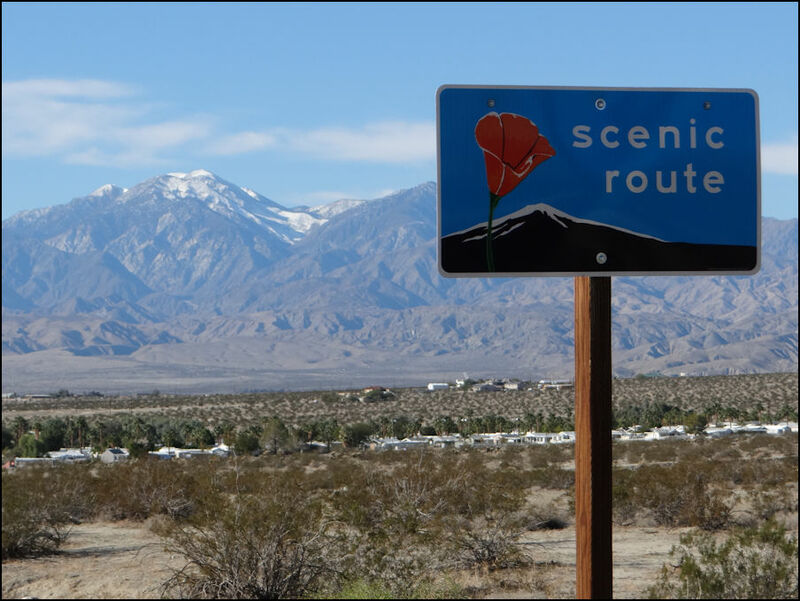 Our first destination for 2019 is the FMCA RV rally in Indio, California. On the way we always visit our many friends from previous trips. First stop was Golden Village Palms RV Resort in Hemet, California. Of the 429 RV parks, campgrounds and Elks lodges we have stayed at, GVP is one of our all-time favorites. We have dozens of friends there and our first visit is always with Joe, our friend, a military veteran and full-time GVP resident. After a week at GVP, we moved on to the Palm Springs Elks Lodge. 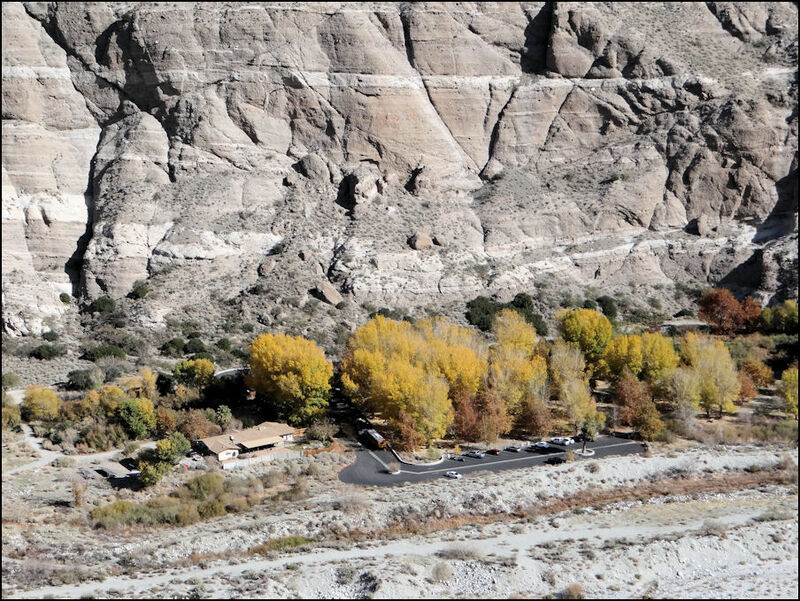 The lodge only offers dry camping, but the setting next to the mountains is beautiful. Our first two visits to the lodge were in 2012. Dry camping was just $5. Today, they are asking for the $20 donation. We have saved over $20,000 in 13 years staying at Elks lodges. 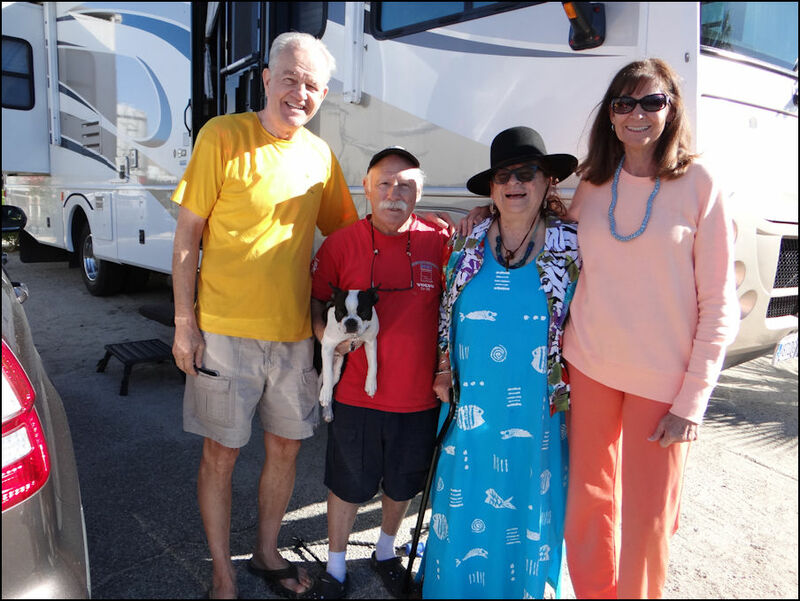 We heartily recommend that all RV travelers join the Elks. And while we really appreciate the Elks as a whole, we think $20 for dry camping is too much. 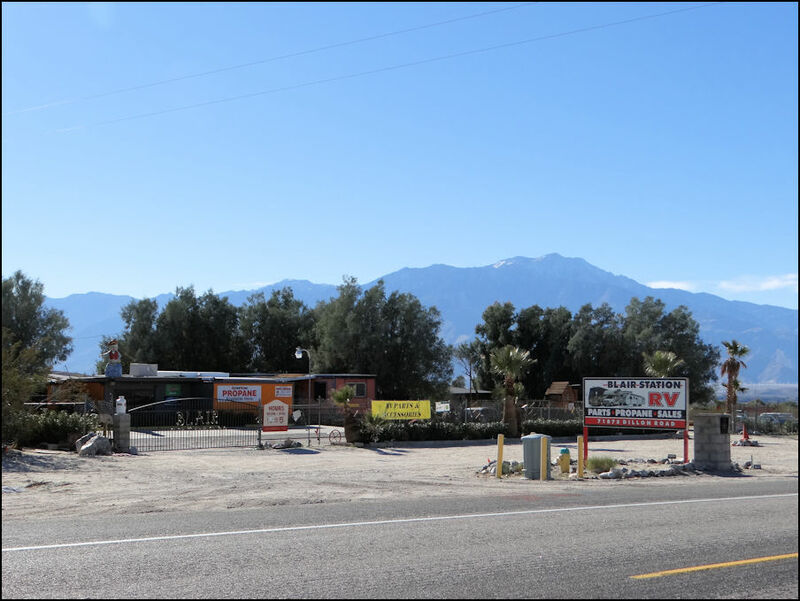 For $25 you can stay at the Indio Elks with 30 amps, water and a dump station. Every year since we met Clint and Jackie we stop by to visit them in the valley. Pete and Clint won their first pickleball gold medal in 2011, the year we met. They are generous hosts and we park the MotherShip in front of their house, enjoy their fellowship and hospitality. From their house we mosied up to Desert Hot Springs (poor man's Palm Springs). Ellen still recovering from her torn Achilles tendon had no physical therapy for 10 days. We settled in at Catalina Spa RV Resort where they have odorless mineral spas, really warm pools and a good fitness center. Ellen diligently worked out everyday for an hour and a half. Cat Spa was the perfect place to work on her tendon recovery as the gym and spas are open 24/7. The day we arrived it was difficult for Ellen to walk from the MotherShip to the fitness room. But, everyday got better. One day at the dog park we met Howard, Melanie and Buddy. They are fun. We played table games and shared dinner. Howard has a 250cc scooter and Pete and Howie took multiple rides while Ellen and Melanie played Scrabble. The first scooter ride was to explore Desert Hot Springs. 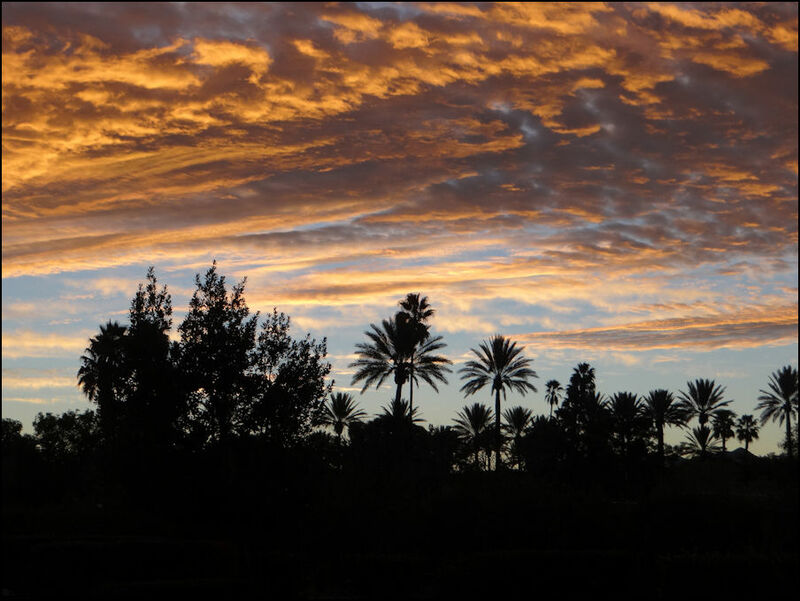 Desert Hot Springs is built on the same terrain as Palm Springs just lacking the continuous 5-star landscaping, hundreds of the golf courses and thousands of million-dollar homes. 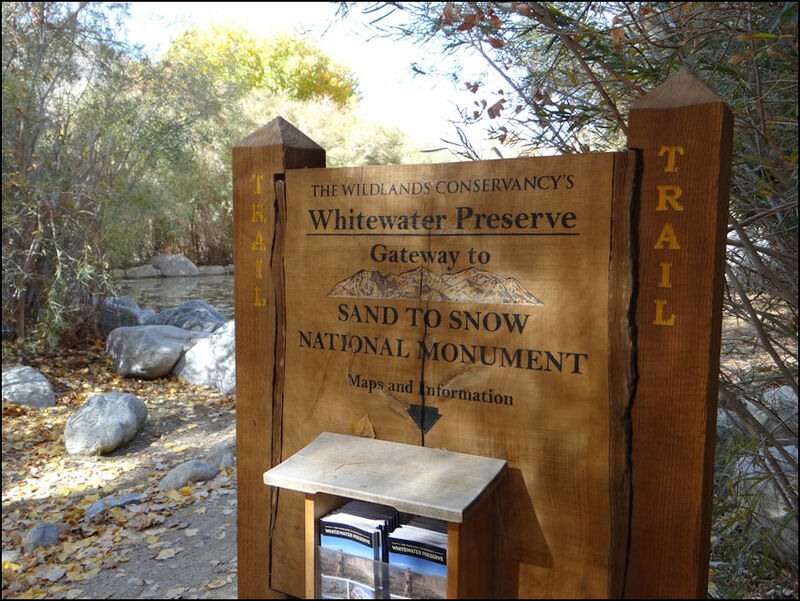 Our second ride was to the Whitewater Preserve, a little oasis just west of Desert Hot Springs. 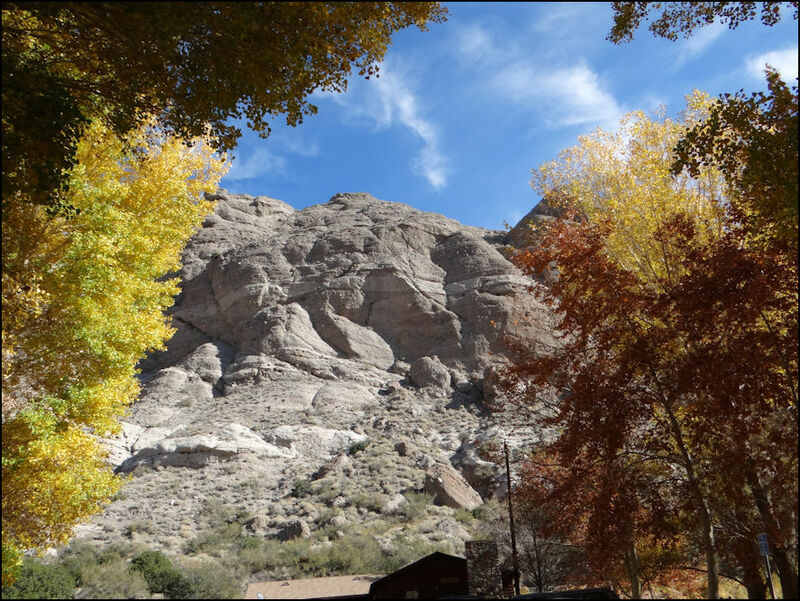 The road to the oasis is lined with gorgeous boulders and bluffs. Multiple ponds surround the ranger station and park. 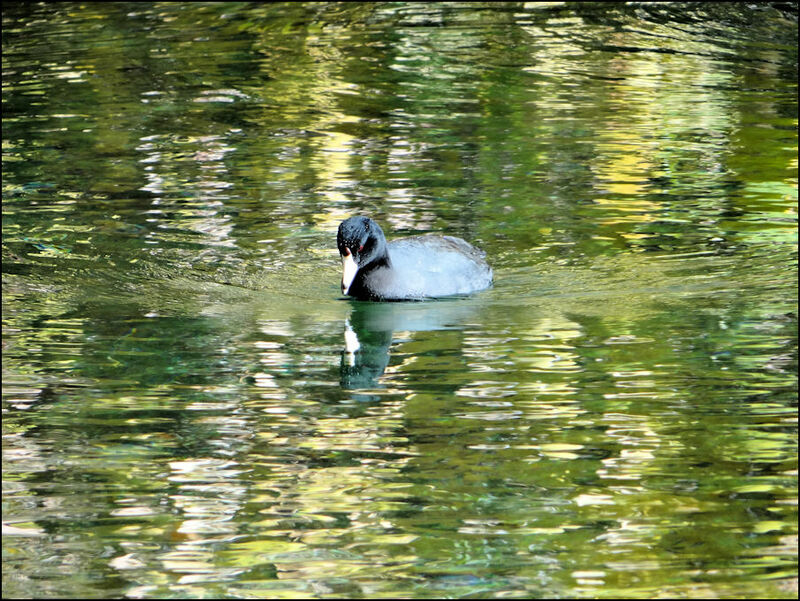 The most common of the park's wildlife are the ducks. 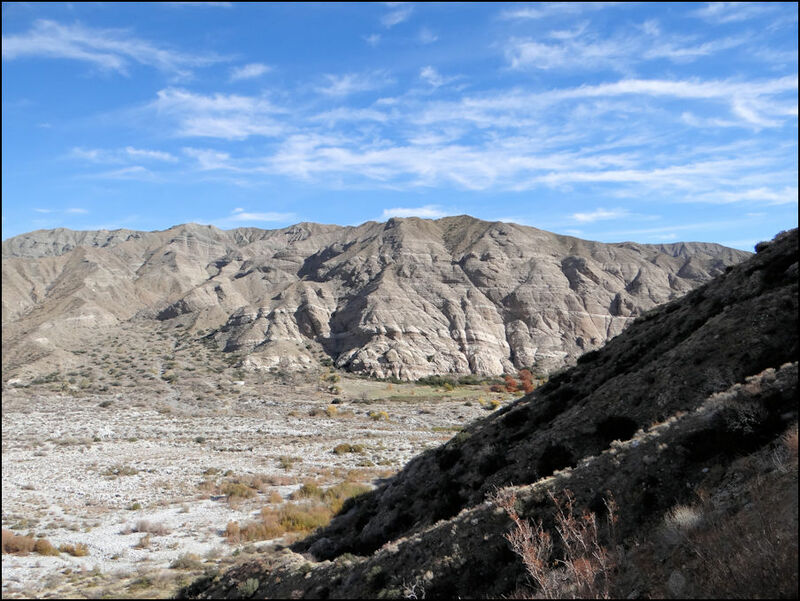 The view from the 700 foot climb on the 3-mile Canyon View Trail would really be nice when the water is flowing. The ranger station and oasis as viewed from the apex of the trail. Ending the hike with a 1/3 pound jalapeno burger was an easy choice. 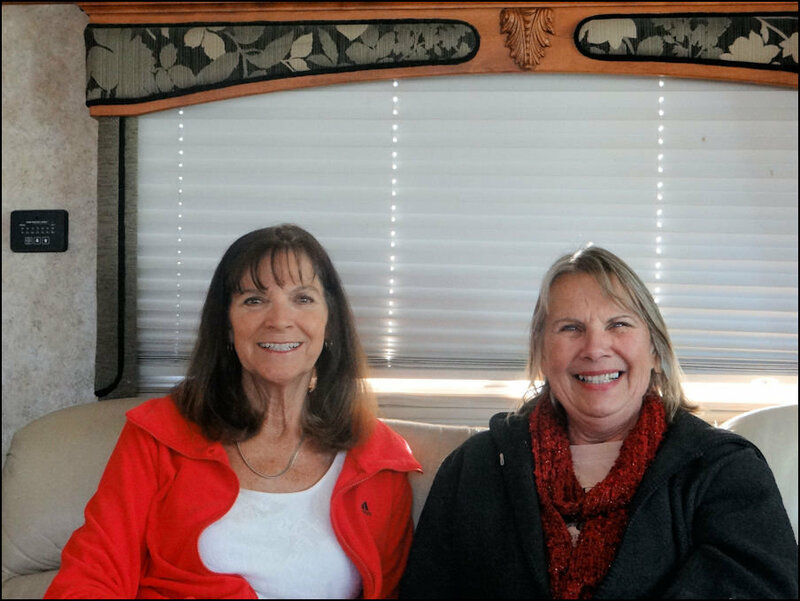 In the middle of our one month stay at Cat Spa, our friend Sherry, from Atascadero, brought her RV for a short visit. Sherry and husband John have been good friends for 30 years. Walking normally has been Ellen's goal for seven months but the lure of the pickleball court is strong. At Cat Spa they enjoy Wine and Pickleball every Wednesday evening. And a good variety of food adorns the tables. Even if not playing pickleball it is always great to join in the fellowship. Angie and Jim run the pickleball program and asked us to give a 4-hour Referee Clinic. We did and a dozen attendees learned the techniques of reffing and got in hours of monitored practice. Wow! That lady stretching looks familiar. Could it be, yes, it is Ellen! Amazingly after 25 consecutive days of self-driven physical therapy, Ellen is ready to knock the ball around. Praise God, we were never sure that this would be possible. In all, Ellen played quite a few games per day for six days running. Maybe too much, but it is great to know that she could do it. We still covet your prayers while Ellen's range of motion is great, her pain level is very high. Pray for pain relief. 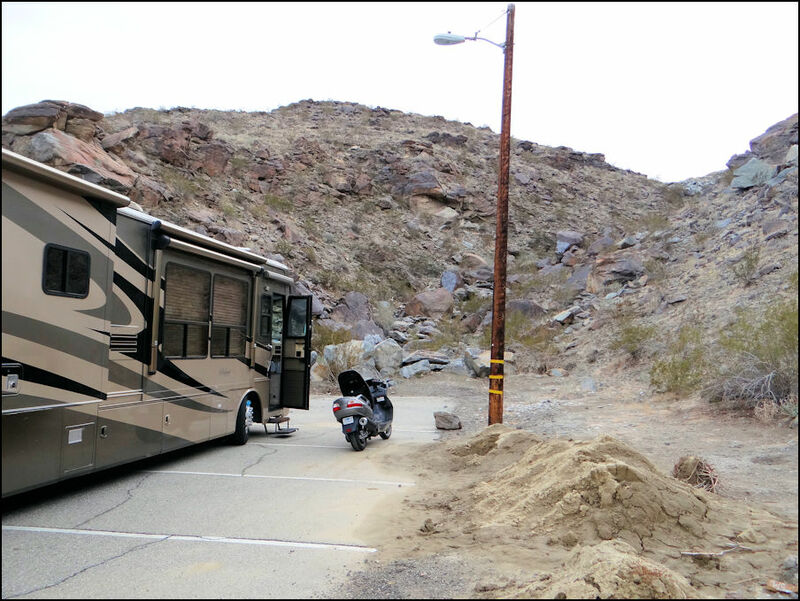 Leaving Desert Hot Springs, we stopped for propane at Blair Station RV. 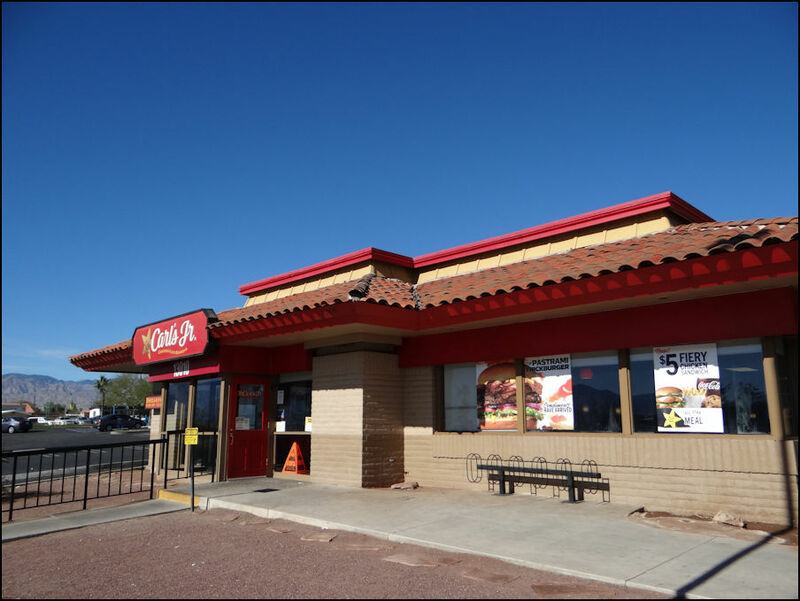 Most likely this out of the way store started in a small shed with a few parts. Today, with a bunch of attached buildings it has more parts than most of the RV stores we have frequented. And the propane cost is this area's lowest. 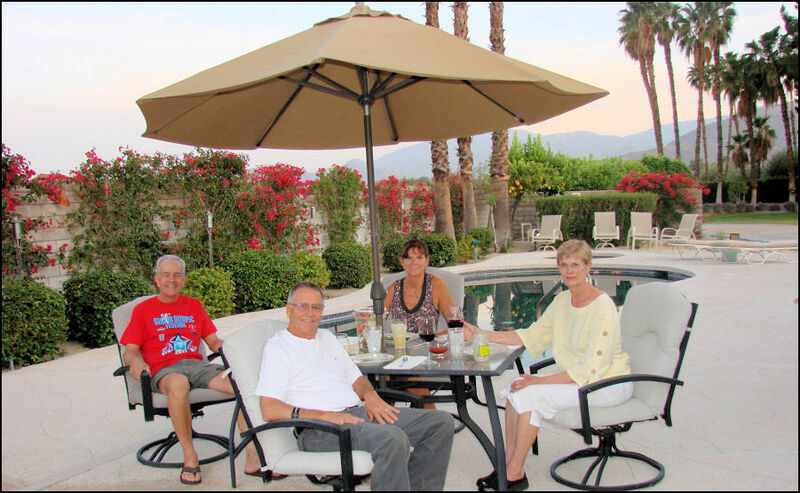 Arrving in Indio, we stayed at the Elks Lodge with good friends Gordon and Karen. We dined at each other's homes, caught up on all the hubbub and played table games. Always a joy! We finally reached our destination, the FMCA RV Rally at the Indio Fairgrounds. While not as large as we have seen in the past, there was still plenty of activity. The nightly entertainment was held in the Fullenwider Auditorium. 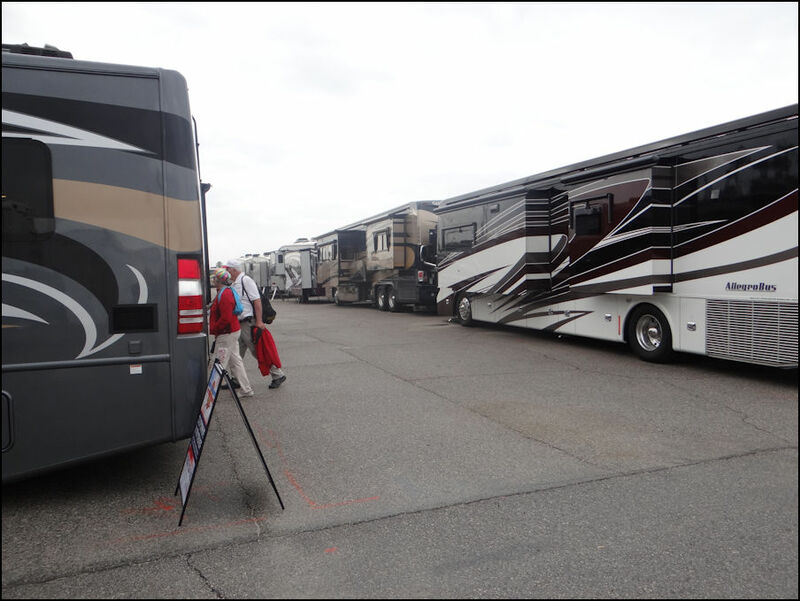 1) Some of the 800 RV's parked on the premises. 2) Dozens of vendors with everything you don't need and some you do. 50 new motorhomes for those wanting an upgrade. Ellen did not attend as it was raining on Saturday and there would be too much walking. Pete however needed to attend as he gave two one-hour seminars. 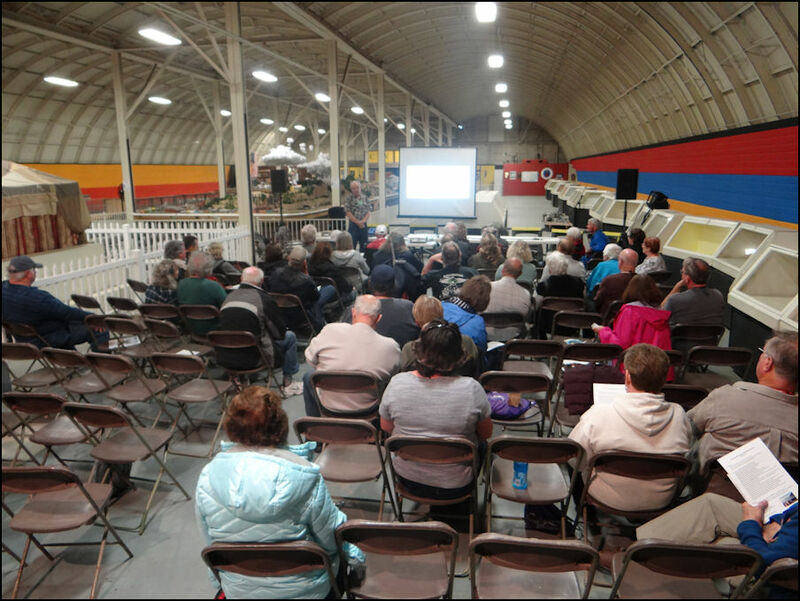 Below is the Full Time RV Traveler's Guide class followed by Vehicle and Personal Scheduler – TellMeDaily.com. Both were well attended for this 4th year of educating full time wannabes. Really fun to share with others who want the same life style. "How long are you going to keep traveling?" "Until we can't!" Well, that's it for this week. We have a rough idea of where we are going next, but are waiting for the rain to stop.